Raymond Luther Allen, 89, of Climax passed away on Monday, March 27, 2017 at Randolph Hospice House. 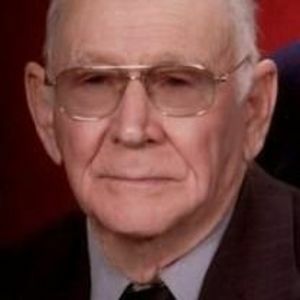 Raymond was a Foundation Fellow for the Red Cross Civitan and a member of Bethel United Methodist Church. He was a tile setter for over 50 years. A funeral service will be held on Thursday, March 30, 2017 at 11:00 a.m. at Bethel United Methodist Church, 3809 New Salem Road, Climax with Rev. Sandra McNiel officiating; burial will follow in Randolph Memorial Park. The family will receive friends on Wednesday evening from 6:00 until 8:00 p.m. at Loflin Funeral Home, Liberty. He was the son of the late Henry Jackson and Ethel Jenkins Allen and was also preceded in death by his wife of 66 years, Genevieve Brown Allen; son, Michael Allen and brothers, George Allen and Charles Allen. Surviving are his daughters, Brenda Allen Cranford and husband, Aaron and Sandra Allen Patterson and husband, Wes; grandchildren, Brian Cranford, Brittany Allen, Seth Allen and Danielle Ross and husband, Jonathon; and daughter-in-law, Donna Allen. Loflin Funeral Home, Liberty is honored to serve the Allen Family.